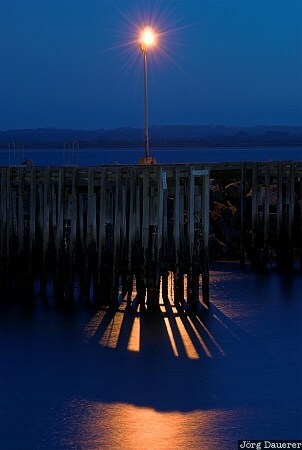 Wooden docks and their shadow in the harbor of Stanley at night in northern Tasmania, Australia. This photo was taken after sunset in April of 2007. This photo was taken with a digital camera.